The Hong Kong-based investor building Europe’s largest integrated casino resort in Cyprus wants to attract high-end customers from the neighboring Middle East to the island nation and target visitors from Russia, Britain and Asia. Lawrence Ho, billionaire owner and chief executive officer of Melco Resorts & Entertainment Ltd, will operate what will be called the ‘City of Dreams Mediterranean’ in Limassol on the island’s south coast, aiming to capitalize on the company’s ‘City of Dreams’ casino resort brand in Macau and Manila. Initially, Melco aims to attract customers to Cyprus from the neighboring Middle East and to target visitors from Russia and Britain, the two major tourist source markets for Cyprus, Ho said. Melco and local partner The Cyprus Phassouri (Zakaki) Ltd won an exclusive license to operate Cyprus’s first-ever casino. Cypriot authorities project that the resort could attract an additional 300,000 visitors a year boosting economic output by a further 700 million euros per annum, currently around four percent of gross domestic product, after the second year of operation. Melco opened the City of Dreams Manila resort in the Philippines in 2015 and has invested in gaming ventures in Russia. Ho also plans to launch a global hotel brand, starting with a $1 billion high-rise building in Macau and has been seeking entry into the Japanese market. 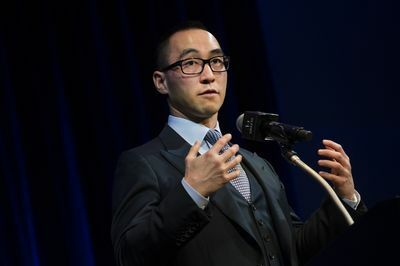 “Traditionally we’ve been Asia based, but we have global aspirations, and want to be a 21st-century gaming operator,” Ho said. “Cyprus is a fast growing market with a lot of potential,” he said.